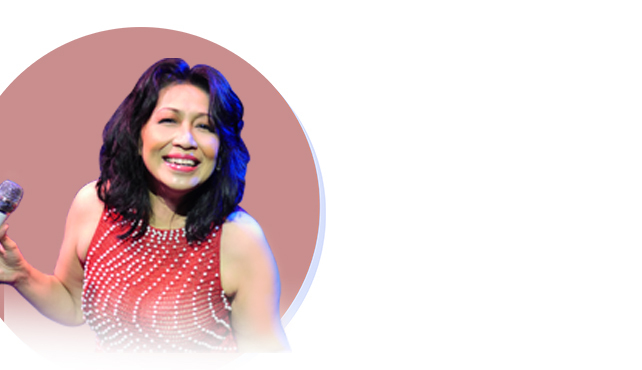 Kemala Ayu is a senior jazz singer from Semarang who is known as the Indonesian Anita Baker. Her passion for jazz began at the age of 15 while performing songs to the tunes of George Benson, Michael Frank, Roberta Flack, Shirley Bassey, Al Jarreau, and many more. In 1980, she won a singing competition called Lomba Cipta Lagu Remaja (Youth Song Creation Competition), which was held nationally by Prambors Radio Station. Kemala Ayu moved to Jakarta at 17 and Captain’s Bar hired her to perform with Denny TR from Karimata Band, Idham Nursaid, Ronald Panjaitan and singer Enrico Tobing. From that moment on Kemala Ayu continually began to develop her career in the jazz scene. She formed a jazz group called Canizaro and then became the vocalist for well-known Latin Jazz Fusion band Black Fantasy during the 1980s popularized through the song called “Buat Kamu” or “For you.” She formed another group called Spirit Band and produced two albums. Later on she became the vocalist of Hydro Band for 5 years (with Helmie Indra Kusuma, Dewa Budjana, Rudy Subekty, Ronald Panjaitan, etc). She was also the vocalist for Trigonia Band (with Idang Rasjidi, Yance Manusama, and Cendy Luntungan) as well for 5 years. Kemala Ayu has released two albums Emotions (2007), and Headlong (2011) as well as a mini album Lima+ (2013). Starting October 2017 Kemala Ayu has been show staple in Motion Blue Jakarta performing once a month to great reviews. Watch Indonesian Jazz Queen Kemala Ayu & Friends Live at Motion Blue Jakarta on May 4th & 5th, 2018. Enjoy a free Welcome Drink with every ticket purchased. PURCHASE NOW at www.motionbluejakarta.com or RESERVE at reservation@motionbluejakarta.com . CALL +62-21-29039189 for more info.